Hello natural beauties living in this crazy world! Are you having a cold Christmas or a super hot one like me? I love summer in Australia and I always feel so much better with the warmth and sun on my skin. Wherever you are, here are 10 essential oil recipes for your diffuser, for a hot, or a cold Chrissy. Whether you celebrate Christmas or not, I wish you a great end to this year, a fabulous start to the new year too. Hello natural beauties! I’m feeling very relaxed right now as I’ve just spent 3 days with Dr Brian Weiss, participating in a past life regression workshop called “Many Lives, Many Masters”. This is also the title of his best-selling book and is a great read if you’re interested in past lives. I thought it might be a good idea to share some of my favourite soothing calming blends for relaxation, meditation and opening your intuition by looking within. Lavender is a must have! Diffusing essential oils in a room or any kind of space will help reduce bacteria, energetically cleanse the area and purify the energy of all who are in it, help you relax as the molecules pass through your nose into parts of your brain and basically allow you to feel absolutely lovely. Which oils help you relax? Hello natural beauties!. It’s time to introduce the next botanical perfume, purity, from my perfume range called REVELATION. The 10 all-natural organic botanical perfumes correspond with my book of the same name. Each perfume represents a “Revelation Formula” from one of the ten chapters on essential oils. Purity is about cleansing your space, your personal energetic field and fortify yourself with a little protection. From the Space Cleansing and Protection chapter in my book, I have created purity the botanical perfume. Clearing and cleansing your space can be fantastically liberating and freeing. Once all the extra stuff is gone, cleaning with essential oils can take reclamation to a new level. Even just cleaning with oils can make you feel lighter, as you energetically release the old negative emotions and patterns and move into a new mind space. I call it purification, and it definitely applies to your chakras and energetic body as well as your home or office. Clear out the old, cleanse your space and body with essential oils, and protect your personal aura with intention and this gorgeous perfume I’ve created. So why not flow with the energy of the universe, with a pure heart and mind? The purity formula combines happiness oils and some of the essential oils I have listed in the Space Cleansing and Protection chapter of my book. All my perfumes are hand-made, organic, vegan, jojoba oil based. purity is a sweet resinous fragrance that is as comforting as a balm and as cleansing as an autumn shower. Peru balsam is your sensual heroine with crisp sophisticated juniper highlights and lo-fi sprinklings of thyme and may chang. Add pretty pink grapefruit and inhale the divinity. Cleanse and fortify your forcefield. Ingredients: essential oils of *pink grapefruit, Peru balsam, *juniper, *may chang, *pine and *thyme in *jojoba. *certified organic. Are you ready to cleanse your space and fortify your energetic body? As we are coming to the end of another year on earth it is a wonderful ritual to do some cleaning and get organised, so new energy and abundance can flow into your life in the new year. Even if it’s just cleaning out the kitchen cupboards it can have positive flow-on effects. I’ll be cleaning and tidying my bedroom in detail, and doing a good tidy-up all around. And what better little helpers to employ but essential oils? Once your tidying is done the most fun part starts – the cleaning (ugh)! I add essential oils to warm soapy water to do all the surfaces and objects, and do the same with the water for mopping. It’s like having an aromatherapy treatment while you clean. Most essential oils will work well but there are a few that are standouts when it comes to cleaning. These oils will have an energetic cleansing effect as well as a great scent, and will help dissolve dirt and collect dust. Eucalyptus – a good oil remover, dissolves sticky stuff, helps you breathe deeply and works against stuffy sinuses. It breaks down unwanted, thick energy and has a clarifying and stimulating scent. 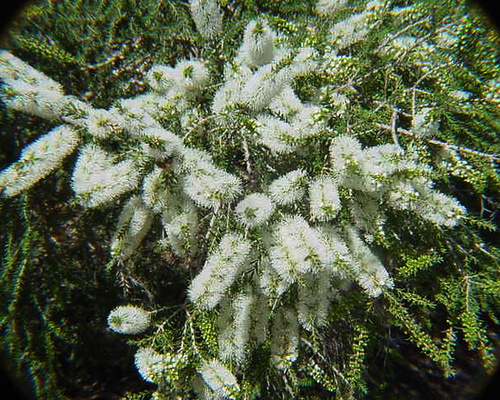 Tea Tree – wonderful for an anti-bacterial wash on surfaces. This fabulous Australian native as an enlightening cleansing effect on the soul, and has been used by some Aboriginals in smoking ceremonies, which purge the bad spirits. Juniper – a light, spicy oil to clear teary emotions and any type of sadness hanging around. I love using this oil for surfaces in the bedrooms because of it’s enchanting and clear scent. 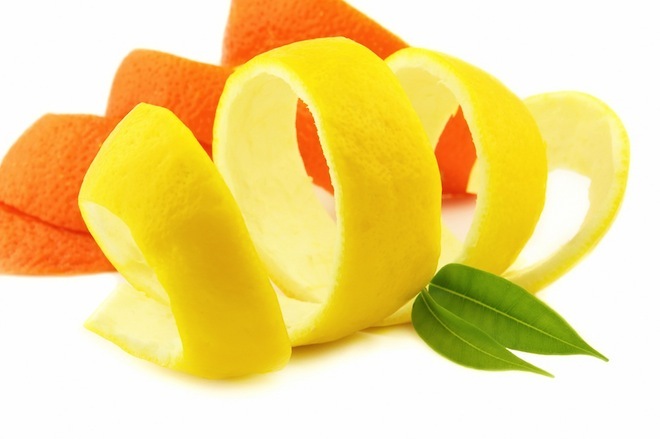 Lemon – can be used from kitchen benches to the bathroom to give you a bright, happy feeling to your home. It is such a simple oil but has so many great qualities for cleaning, including a lightness and sweetness that appeals to everyone. Or you could just use the lemon rind or whole lemon with some bi-carb soda or salt for benches and bathrooms. 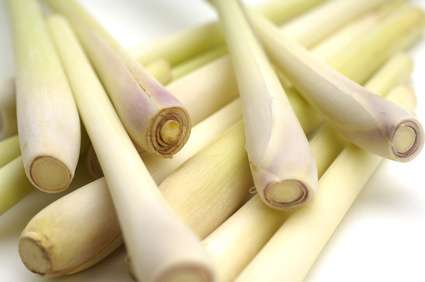 Lemongrass – another lemony scented oil to wash away the old. It’s a lot stronger than lemon but when you mop and clean with this oil you’ll be keeping away the insects too! Grapefruit – pink or white grapefruit will work but the scent is very subtle. It’s hard to vapourise this scent well too, as it is so light it will fly away. Remember the energy is still there and grapefruit is the classic cleanser oil. I use grapefruit mostly in body oil blends for this purpose – when someone needs a gentle cleanse. Pine – fresh, clean and a little herbaceous too this oil is a great cleaner, and makes room for more inspiration to come flooding in. To be creative in your new life next year you’ll need to allow inspiration to come to you, and when you have a clean home you have a clean mind too! 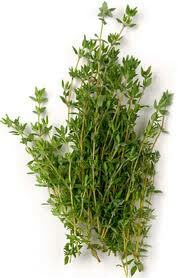 Thyme – when you need the big guns of anti-bacterial oils thyme is your friend. Along with oregano these oils are a great disinfectants but beware USE WITH CAUTION because the scent is so strong. Mix a little thyme with some lavender and orange and you are in business baby! In fact I’m going to use that combo this arvo (Australian slang for afternoon. “This arvo”, or even “s’arvo” mean “this afternoon”). Lavender – use it liberally as it will work as a cleaner and will also bring a sense of solidarity and calm to your space. In the wars of the past some hospitals in France used lavender and thyme to clean everything. And of course they worked amazingly! 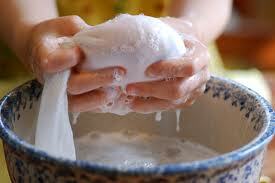 Don’t worry too much about quantities of oils to soapy water I just chuck them in. You really only need to be careful when you are using them on your body and for those ratios see my latest article here. I was speaking with a cleaner at a wedding last month and we got talking about essential oils and cleaning. She wanted some advice about how to use them in her work with the specific intention of her clients being able to smell the essential oils when they arrived home from work. She was particularly interested in orange oil because she had seen it in supermarket brand cleaners. I explained to her that they may disappear before the client comes home – just because they are natural doesn’t mean they will be long-lasting – in fact it’s the opposite. The citrus oils will tend to disappear first as they have simple molecular structures so it’s good to mix them with a heavier oil like lemongrass or even cedarwood. Don’t be afraid to use lavender either that will work well with the citrus oils. Happy New Year my friends and thanks so much for connecting! Happy blending and remember to use your intention when you are cleansing your space. See my article about intention. Essential Oils from Herbs are Spectacular! The Lamiacae family of plants groups together lots of great herbs we know and use frequently. It used to be called the Labiatae family (and sometimes still is), but I’m glad we’ve upgraded the name! So when you smell lavender, even though the flowering tops are used in the distillation process (as well as other parts of the plant), it really is a herb. Try smelling hints of marjoram in the oil and it can give you a very different opinion of it. Thyme and oregano also have those marjoram notes too, even though they are very strong oils and less user-friendly than marjoram in massage and skincare. Hyssop has a spicy scent, and once again very herbaceous. It smells similar to sage, lavender and marjoram. Basil is quite distinct, but two or three seconds into a good long whiff, you will also detect hints of the other herbs. Clary Sage is a very heady oil and quite different to Sage – but you can almost smell a little hyssop in there. 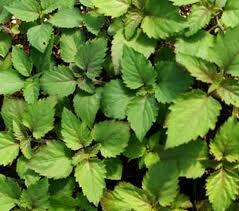 Patchouli is another oil that tends to stand out in this group as it has very individual notes. The earthiness however, connects a little bit to the sages, and even thyme. 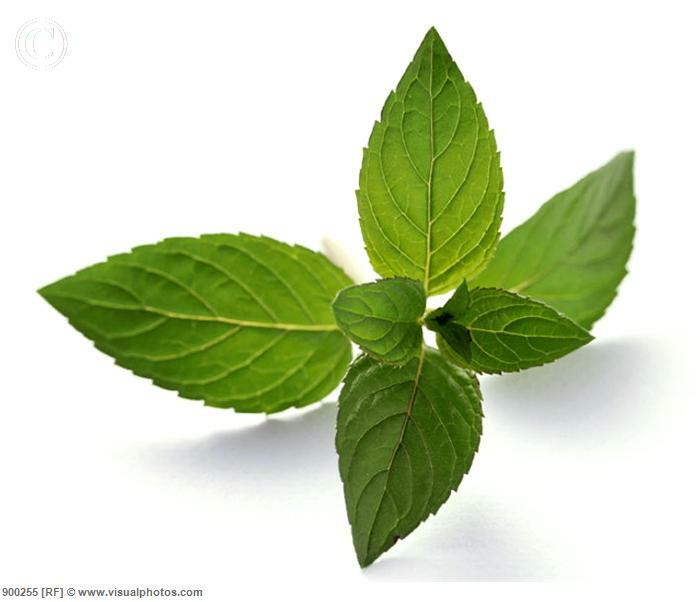 melissa – can you see the similarity in the leaves of all these herbs? 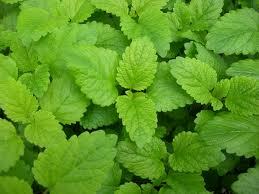 Melissa is a premium oil and is the only lemon scented herb of the group. It is a lot more subtle than other lemon scented oils like lemongrass, may chang and lemon scented tea tree. I would definitely consider it to be quite special and very talented. The mints are very different and spearmint often gets a bad wrap because of its use in toothpaste and gums. Some people find it hard to relate to as an essential oil but I love it in mists and use it in skincare too. It’s great to use when peppermint is too strong for an oil blend for the body, and when you want a herb that’s sweet and light. This lovely Lamiacae family deserves our praise and thanks for serving us for thousands of years. And now we have the beautiful aromatic oils they provide, yay for us! We live in a scented paradise! Oil. Olive oil, sunflower oil, grapeseed oil, almond oil, camelia oil, safflower oil, macadamia oil. You get the picture. Any medium or heavy oil will do the job perfectly. Nothing takes off waterproof mascara like good ol’ cold pressed oil. My system is to wet a makeup remover pad with some water, add a squirt of oil, remove makeup. Clean face with warm, wet washcloth. The end. Rosehip oil. You can also try borage oil and apricot oil but I find rosehip is the best. It is dark and slightly scented, but once you start using it it’s hard to give up. I rarely even make creams for my face anymore because rosehip oil is so good. I put makeup on straight away after moisturising with rosehip and don’t encounter any problems. Rosehips are high in Vitamin C and also have anti-inflammatory properties. Rosehip extracts are now being used in herbal medicine for both the above properties – in joint formulas as well as immune stimulating formulas. It works best if you smooth the oil on a damp face, this also helps trap some extra moisture in too. I use a floral water in a mist bottle to make the process even more stunning. This lists essential oil ratios for making a body oil – for the face use half the quantity. For example if you use 1 teaspoon of oil for your body add 3 drops of essential oil. For the face use 1 drop of essential oil. jojoba – it looks a lot like an olive doesn’t it? Oil. Jojoba oil, almond oil, sesame oil, coconut oil, grapeseed oil, macadamia oil, olive oil, camelia oil, sunflower oil ………. Add a few drops of essential oil and you have a natural, preservatice free, paraben free, beautifully scented, quick aromatherapy treatment. and any other strongly scented oil you can think of. Refer to my article Aromatherapy It’s Easy As 1 2 3 for the correct quantities to use. Go for it. Using cold pressed oils is a start to simplifying your life by cutting out chemicals and toxic ingredients in personal care products. It does take a bit longer but if you valuse yourself and the world around you, it’s easy to make the effort. Look after yourself first. Treat yourself first and everyone will benefit.